One reason that family caregivers might avoid getting help, especially in the form of hiring senior care providers, is that when they think about these plans they experience a host of negative emotions. Getting past those emotions can help you to become more adept at accepting the help that you need. Examine Why You Feel Negative Emotions around Accepting Help. Understanding what is behind some of your negative emotions may be the exact catalyst that you need to break through them and leave them behind. For instance, you might feel guilty about accepting help because you should be able to do more on your own. That’s not realistic, though. Journaling can be a powerful tool when you’re trying to get to the underlying cause of your emotions. You don’t need anything fancy, just a pen and a piece of paper will do. Worry Doesn’t Protect the Situation. Some people believe deep down that if they put enough energy into worrying about a situation that will somehow keep something bad from happening. But this isn’t how life works. Instead, you wear yourself out and you don’t get the result that you want. Worrying about leaving your family member with someone else or entrusting a family member with a task is not going to provide a solution. Building Trust with Elder Care Providers Is Easier than You Think. You might have few issues around having help from other family members, especially for smaller tasks that don’t impact your senior directly. Hiring elder care providers, however, might feel incredibly difficult for you to do. 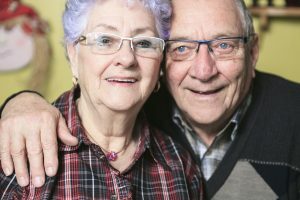 Often this involves a lack of trust, particularly because hiring elder care providers often means that you’re not going to be there with your family member. The more that you engage in interactions with home care providers, the easier it is to build trust in them and their abilities. Don’t Worry about Changing Your Views Overnight. It’s not essential that you do a complete turnaround overnight regarding your issues around accepting help. The fact that you’re trying to turn those views around is a great starting point. It takes time for you to let go of those beliefs and feelings that aren’t serving you and your elderly family member well on your caregiving journey. Continuing to make yourself do more and more simply because you feel bad if you have help is not the answer. That is a fast way to keep you from being the best caregiver possible and it could force you out of caregiving eventually. If you or an aging loved-one are considering professional elder care in Bethesda, MD, please call the caring staff at Global Hands Inc. Call today 240-264-0769. This entry was posted in Caregiver Stress, Elder Care in Bethesda MD and tagged Elder Care in Bethesda MD. Bookmark the permalink.